We were wondering just when the optimum time to pick the grapes was. All was made clear today when the man who looks after the land arrived laden with boxes, buckets and a wheelbarrow. Two hours later and he’s still at it. Each box weighs about 15 kilos and there have been a few, perhaps ten. 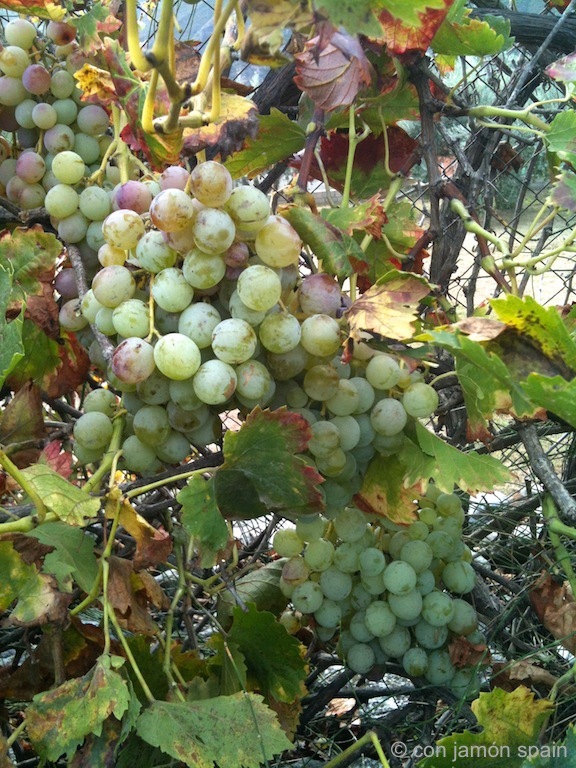 The vine stretches for 50 metres along a fence and has grapes of differing sizes – some are green and others a hue between pink/purple to red. Most of them are beautifully sweet. We were expecting to make wine but that’s not an option now. And anyway, they weren’t ours to pick – we just didn’t want them to go to waste. Grape picking has its superstitions including doing it naked during a full moon. Not sure after yesterday’s naked critter episode we could have handled it. 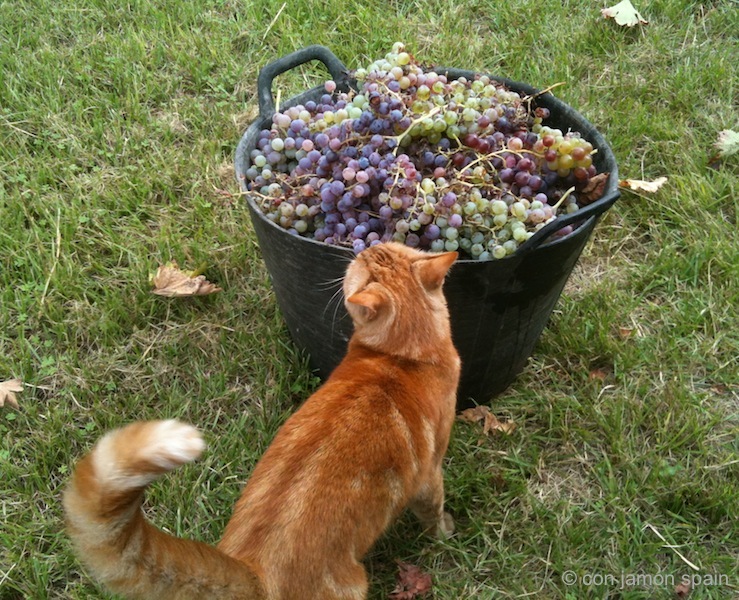 Here are a couple of photographs – the unpicked grapes and a bucket of ’em (with an interested, swollen-tailed Tinkerbell). Is Tinkerbelle trying to claim them as her own?! Well, she’s not too fussy with food – has been known to eat curry. Well, he’s in his 70s…and S’s imagination doesn’t stretch that far – but, who knows?